One of the more talked about features from the Ice Cream Sandwich event in Hong Kong was Beam, the NFC-based information sharing tool. If you have a phone with an NFC chip running Android 4.0, you can share information with another phone who has the same capabilities. The possibilities will eventually be almost endless, but for now, you can send things like Maps listings or directions, Market app pages, contacts and even Facebook friends. 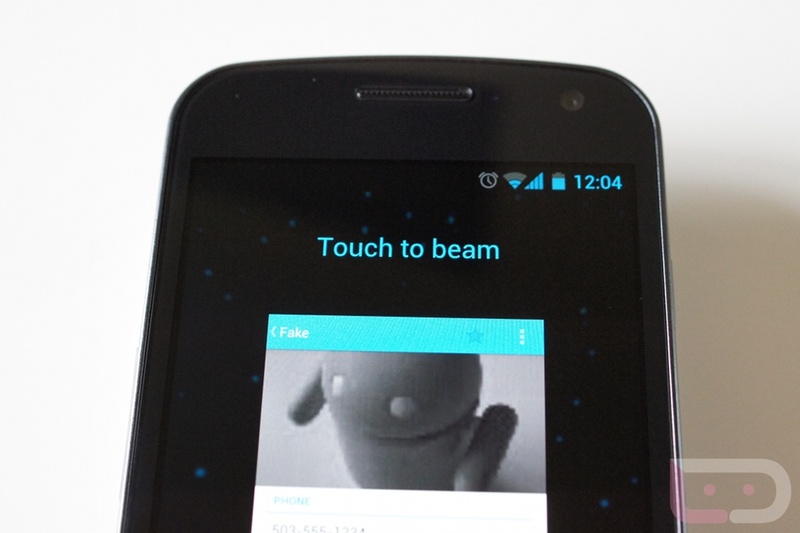 Since we have two phones (Galaxy Nexus and Nexus S) with NFC chips and version of ICS, we were able to demo Beam in the video below. It should be fun come Friday when the world is running around beaming info to each other. Tuesday Poll: Buying the Galaxy Nexus at Full Retail or On-Contract?